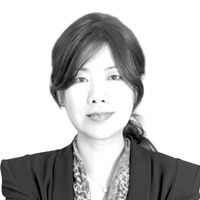 Sabrina Zhang, CPA, is the China National Tax Partner at Dezan Shira & Associates China offices. Sabrina is experienced in the fields of tax planning, corporate structuring, accounting and financial issues relating to foreign invested enterprises. She has over 18 years of experience in providing accounting, auditing and tax advisory services to both international businesses in China and large domestic corporations. She joined Dezan Shira & Associates in 2001 and was made an equity partner in 2007. Sabrina is also an in-demand speaker at international events on legal, tax and financial issues in China. She was bestowed the Star Speaker Award by Bloomberg BNA in 2014, an accreditation given only to the top 5% of speakers who present at Bloomberg's international events and conferences. Sabrina earned her first bachelor's degree in Accounting from China, and a master's degree in Commerce at the University of New South Wales, Australia. Sabrina has been qualified as a Chinese Certified Public Accountant (CPA) since 1997, and she joined CPA Australia as associate member from 2005.